My name is JJ Sobey. I live in Montreal with my husband, two kids and three cats. I speak two languages. 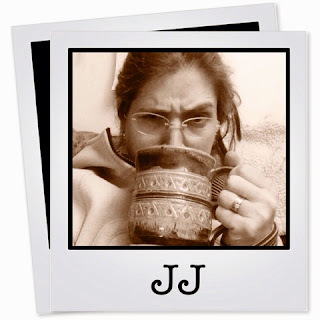 I am an unabashed geek and a coffee fanatic. 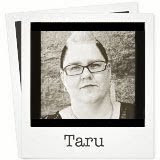 I have been scrapping for about 8 years, and although my kids are the main subjects of my work, I've started to chronicle a bit more about myself as well. 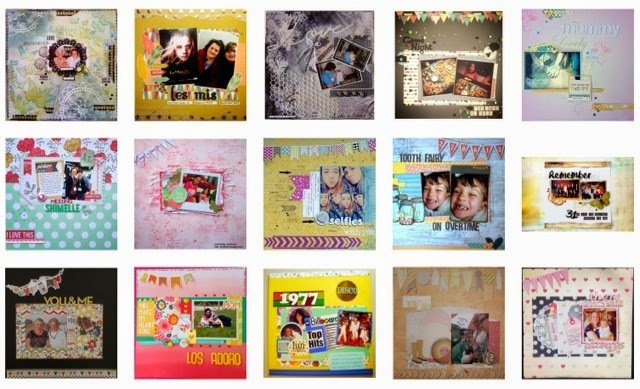 My scrapbook style is a little schizophrenic because I like to dabble in different styles but something that is consistent is that I love use embellishments and layers. 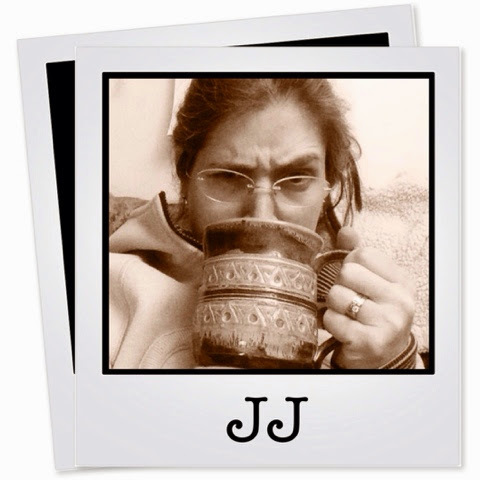 You can see more of JJ's creations HERE. 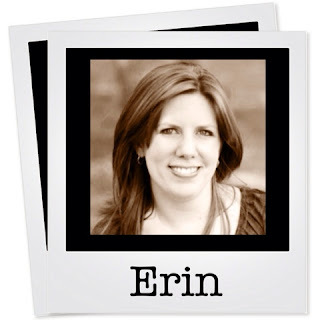 You can see more of Erin's beautiful creations HERE. There is a little over a week left to play along in our CURRENT CHALLENGE. 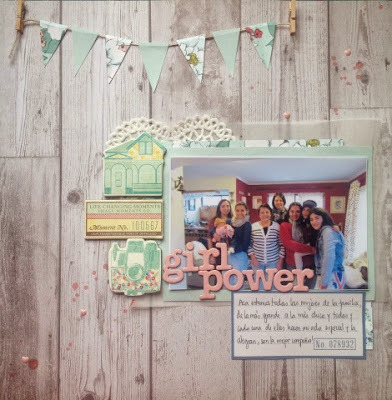 Remember that the goal of this blog is to get YOU in your layouts. We will be back tomorrow with another NEW DT member intro! 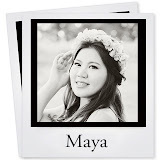 It's time to say goodbye to some of our current design team members and welcome some new talent to the team. 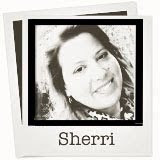 I would like to say thank you to all of you who sent in an application and showed interest in the Challenge YOUrself Team. And we say goodbye to Lynne Mizera and to Terhi Koskinen. Thank you ladies for your contribution to the team! We will surely miss you! Our current challenge is still going on until June 4th! Play along and link up and YOU may be featured on our Blog and Facebook Page! And, there is a fabulous prize to be won. DT Call Update and a Reminder! Just taking a few minutes to thank all those who applied to the Design Team Call! The response was overwhelming. It's great to know that you are all making YOUrselves a priority to include YOU in your layouts! 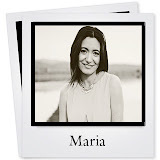 I hope you will enjoy our future challenges and continue to play along with us. Most of our current DT members decided to hang around for another term :) Yay! So, I decided to grow our team a little to make room for some fresh faces. 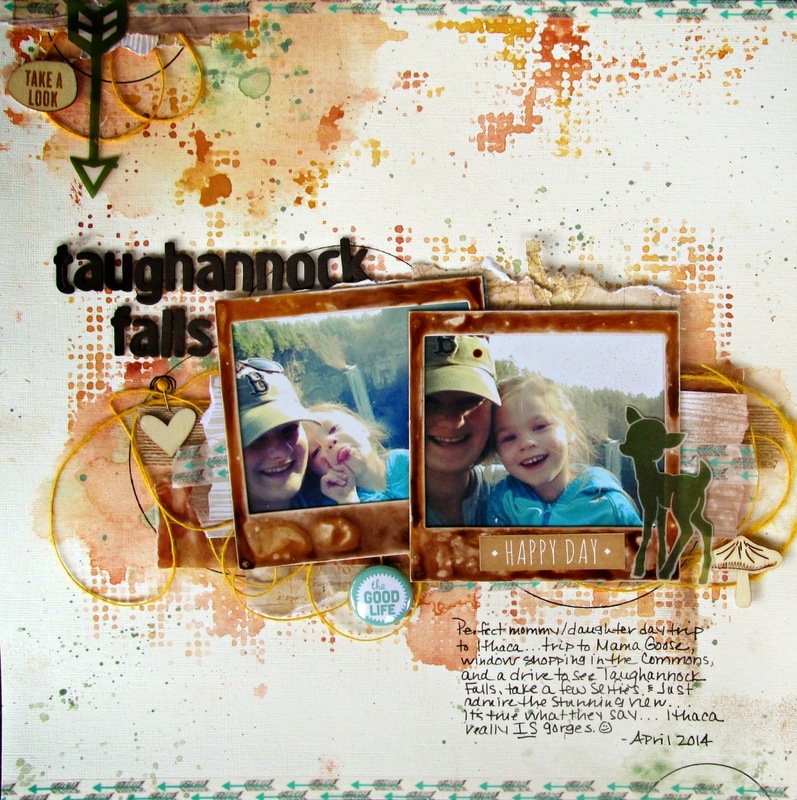 While I'm here, I wanted to spotlight this stunning layout created by our DT member Shawna. 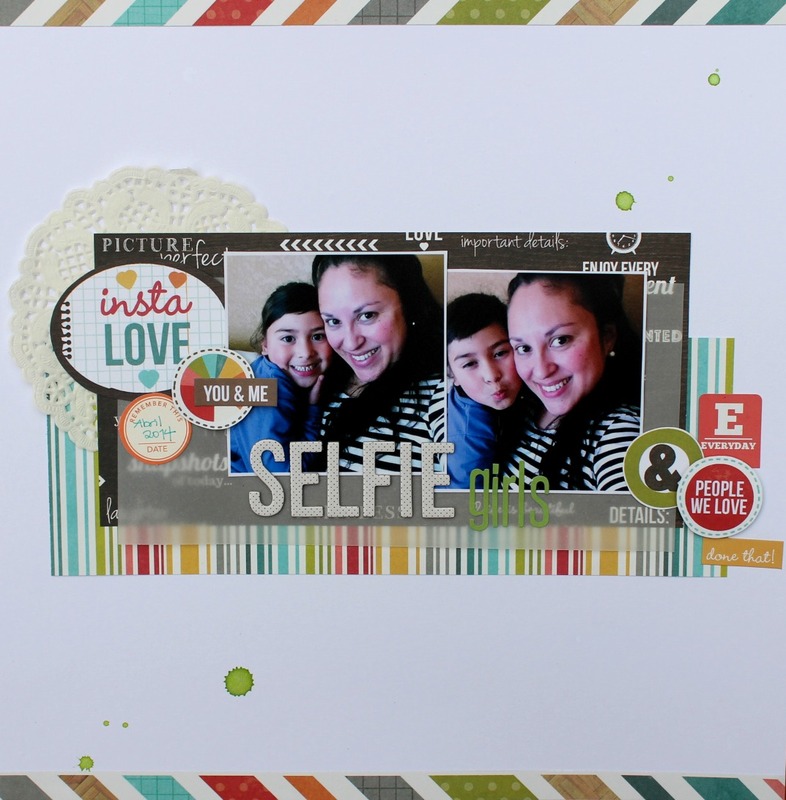 She rocked the latest challenge with this layout! Our current challenge is open until June 4th. With this sketch, scrap about YOU and a female (or females) in your life. She can be a daughter, sister, friend, mother, grandmother, furry pet ;) , etc. 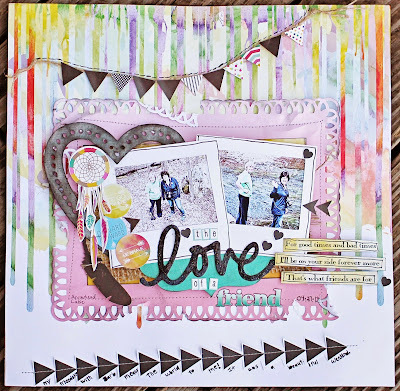 Just popping in to inspire YOU with this unique interpretation CURRENT CHALLENGE created by Lena from Bruksflickan. The details in this layout are amazing. 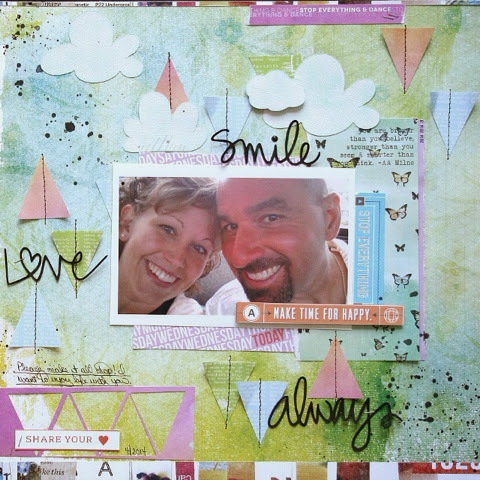 Check out Lena's blog to read her heartfelt story about his special layout. Wanna play? Link up to win! 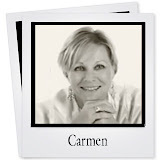 I hope you had a wonderful Mother's Day on the weekend! 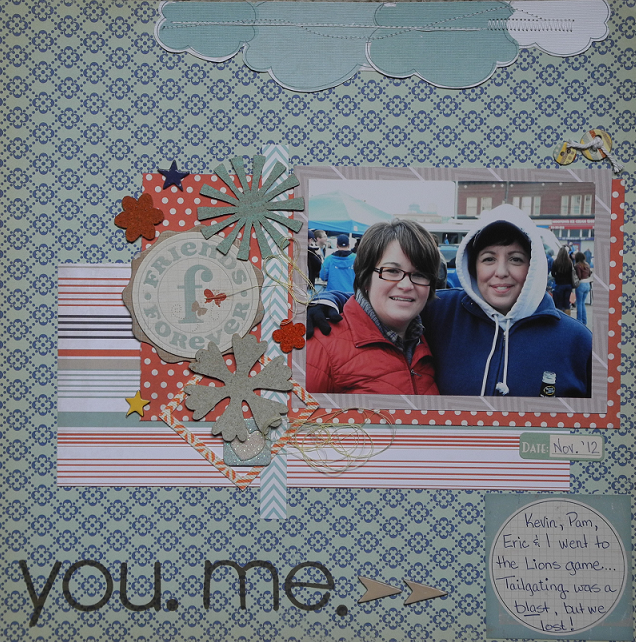 DT member Sharon created this fabulous layout featuring a wonderful friendship. I just love the colors she used. 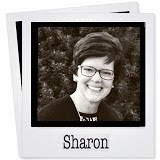 Check out the details on Sharon's blog HERE. 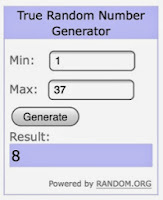 In order to qualify for the monthly draws, YOU must be included in the photo. 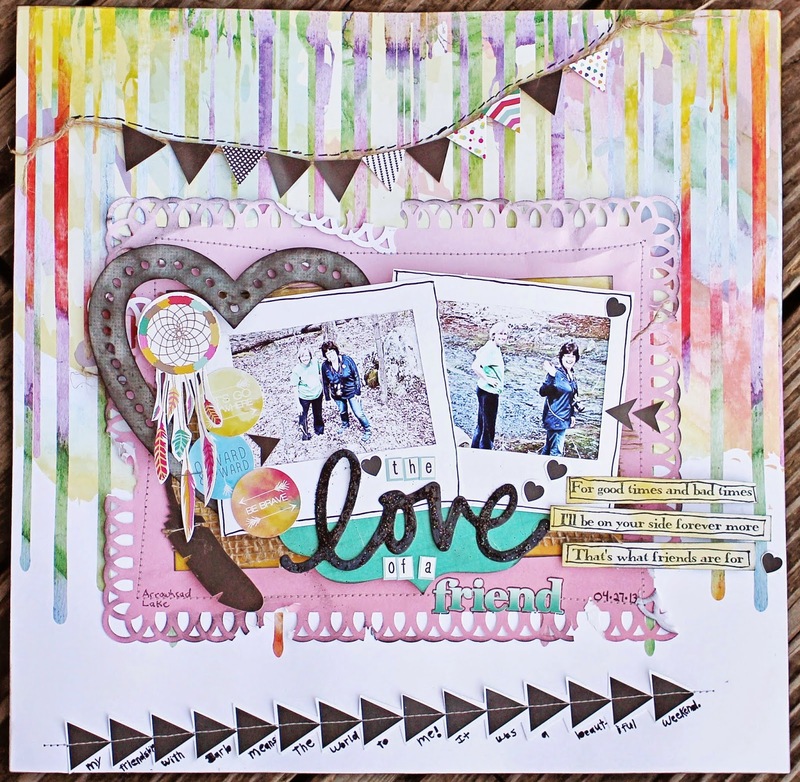 To get you in the mood to scrap this weekend, I am sharing a fabulous video tutorial created by our talented DT member Terhi Koshinen. It will surely inspire you. She makes it look so easy doesn't she?! 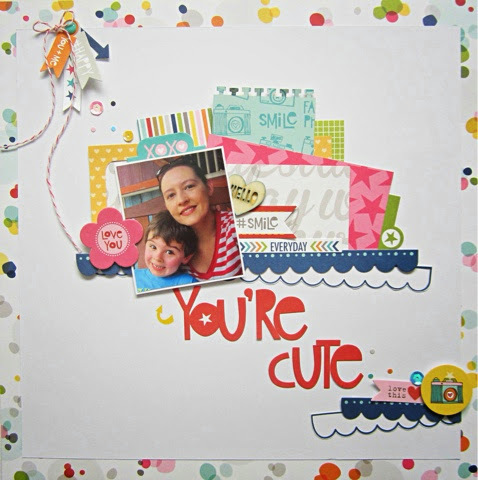 Here's another peek at the layout she created for the latest challenge. Play along with this sketch and scrap about YOU and a female to win a great Bo Bunny prize pack. You have to link up to win. 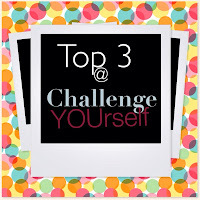 It's all about the girls this month here at Challenge YOUrself. In celebration of Mother's Day on May 11th, we want to see all things motherhood! She can be a daughter, sister, friend, mother, grandmother, pet, etc. Motherhood comes in all kinds of shapes and forms so be creative and have fun! Onto some fabulous DT inspiration. 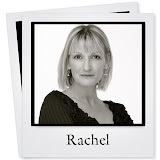 Click on their names to go directly to their blog and share some l♥ve. Wow! 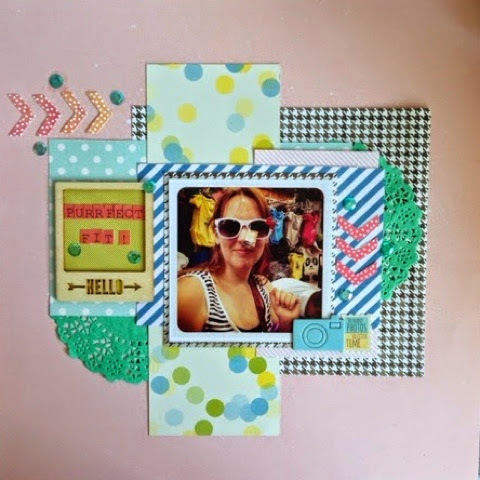 We are blown away by the wonderful trendy layouts in the last challenge. So many beautiful unique creations, which made it extremely difficult for the DT to choose from. 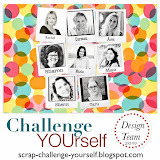 You have one week to contact me at scrap-challenge-yourself@hotmail.com to claim your prize. 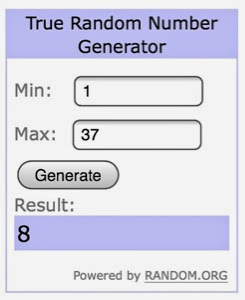 Thanks again everyone for playing along!